DreamSoft IT Solutions Pvt. Ltd. – Part 21 CFR Application Development, Part 21 CFR Compatible Application Development,Software Development Company Kandivali, Mumbai, India. Data Logging Application Development,OPC Interface Application Development,OPC DA Interface Application Development,OPC UA Interface Application Development,OPC HDA Interface Application Development,OPC AE Interface Application Development, Bridging & Reporting Application Development, Customized Device Interface Application Development, Voice Alarm Application Development, Intelligent Building Management Systems,IBMS Development,IBMS. 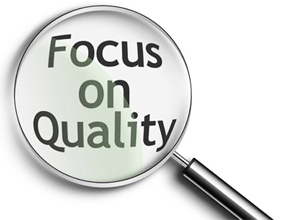 Quality is an Integral Part of Organization's Success or Failure. Success of DreamSoft is because we thrive continuously towards better and better Quality of Solutions with Ease in Operations and with minimum Errors or Bugs. As a Development Company, we except that however established the company is, Bug Free Solutions are virtually impossible to imagine but bugs and errors can be controlled by Proper Testing Methods. Our Programmers first test the Forms / Modules which they have developed using manual Testing methods and carry out a basic Programmer Level Testing. We request Clients to provide us their Real Data on Excel Sheets so that the Programmers have the knowhow of the Client's real data rather than the Test Data. They do the basic testing with the client data and prepare the Forms/Modules. They check for the interconnectivity and dependency of forms/database and pass the work to the Testers who in turn test thoroughly with application of all possible events and circumstances. We thus thoroughly test the Software under all possible data conditions. Report Prints are also tested in our office before they are given to clients. During the Phases of Implementation of Software or Website, our team interacts with Clients and guide them to successful usage of the same. We provide training at the Client Site of needed. 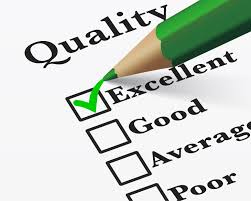 In Short as per the definition of Software Quality….. "In the context of software engineering, software quality measures how well software is designed (quality of design), and how well the software conforms to that design (quality of conformance). It is often described as the 'fitness for purpose' of a piece of software." DreamSoft tries to match this Definition….